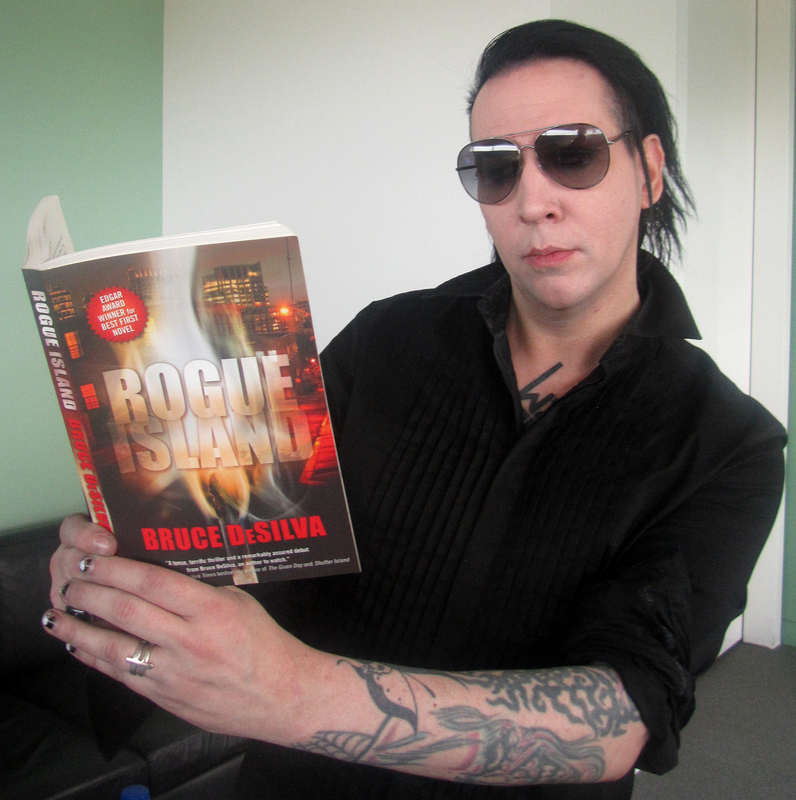 ← Look Who’s Reading “Rogue Island” Now! It’s Thriller Writer Steven James! My wife, Patricia Smith, caught up with the outrageous Marilyn Manson at the Getty Museum in Los Angeles. They were both there to read poetry for a classy event arranged by actress and poet Amber Tamblyn. Manson, although best known as a musician, is also a writer, painter and actor. “Rogue Island” is available in trade paperback and Kindle editions here. It is also available in a downloadable audio edition that can be found here. This entry was posted in Uncategorized and tagged Bruce DeSilva, crime fiction, edgar award, Getty Museum, hardboiled, Marilyn Manson, music, noir, Patricia Smith, poet, Rogue Island. Bookmark the permalink. 1 Response to Look Who’s Reading “Rogue Island” Now. It’s Marilyn Manson! MM can do anything, he always surprises me. This is so badass!